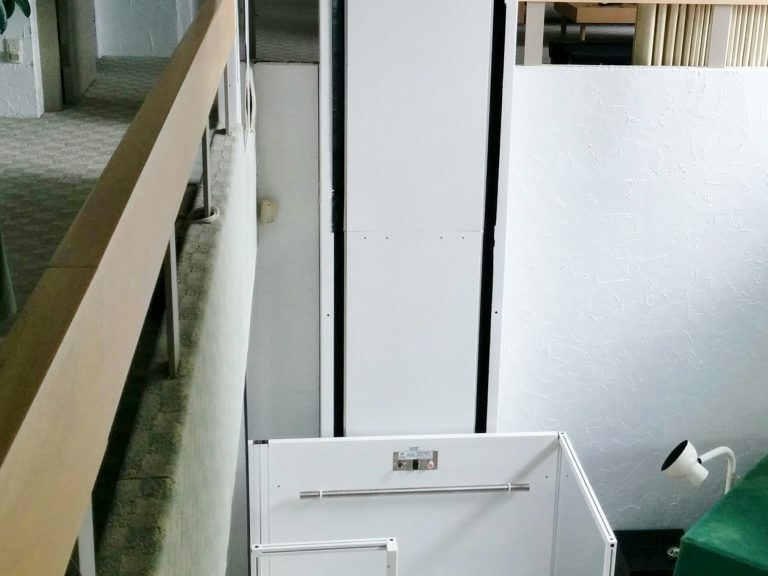 Designed to be installed outside, our platform lifts are a practical, simple and easy way to access your home or business. They are often a better option than an access ramp, as they take up less space, require less maintenance (no shovelling! ), are easy to use and are suitable for everyone. This makes them the best solution when an excessively long access ramp is required. 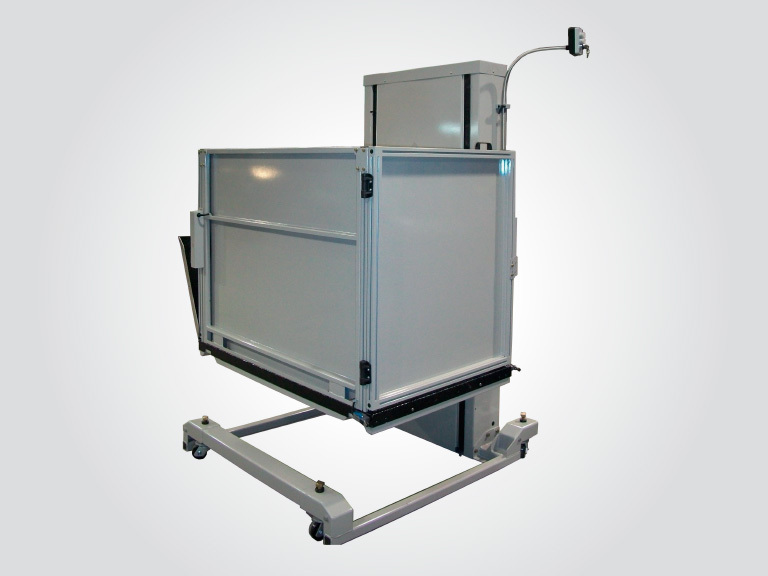 Built in Quebec, our Vista and Vista Mobile models can withstand our climate, temperature swings, frost, thaw, snow and ice! They are solidly built! Need a platform to use indoors? The AC 105 is designed specifically for that purpose. It lets you go up and down interior stairs without having to transfer seats. 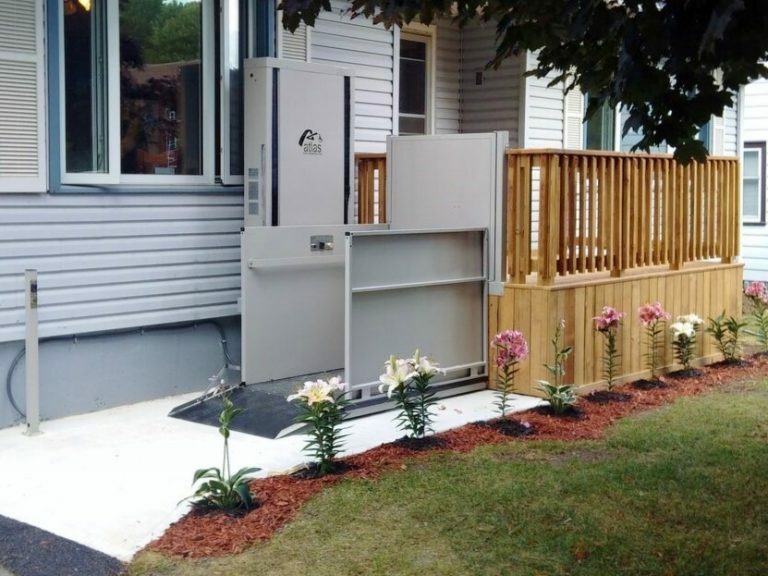 Perfect for individuals with disabilities who use a wheelchair, the inclined platform can accommodate all types of wheelchairs. 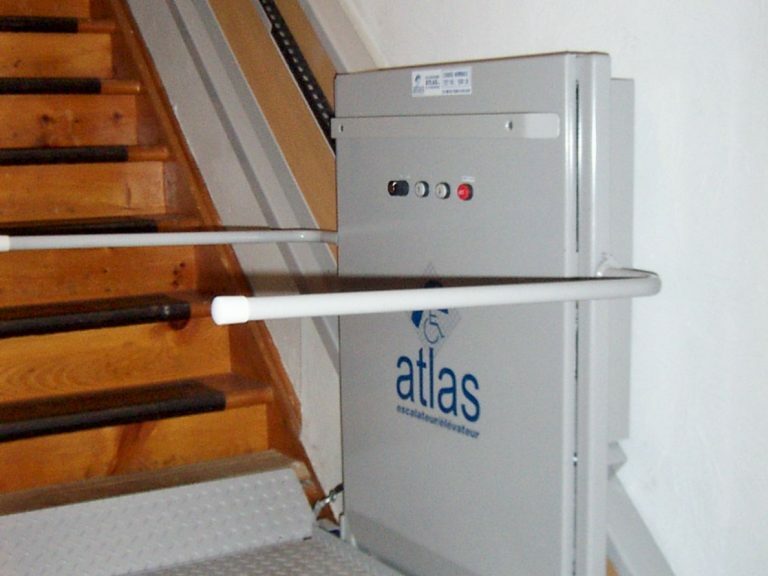 A platform lift installed on a staircase. Makes any public place easy to access. The best solution for accessing your home from outside.